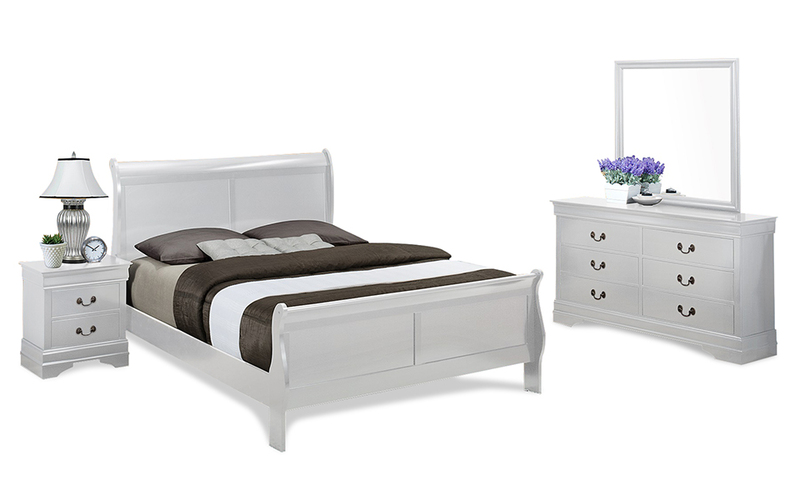 The sleigh bed is exquisitely designed for elegance, comfort and style. It has 2 beautifully styled pedestals with 2 drawers each. There is also a dresser with mirror completing sophisticated look. Mattress and accessories are optional.